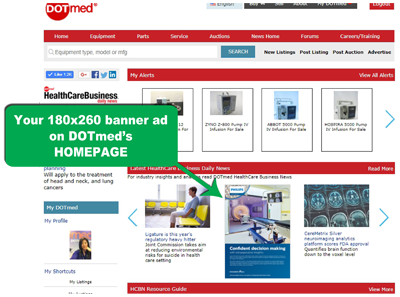 All HealthCare Business News content display advertisers receive placement on DOTmed's homepage, DOTmed's News homepage and a News Silo homepage of your choice. 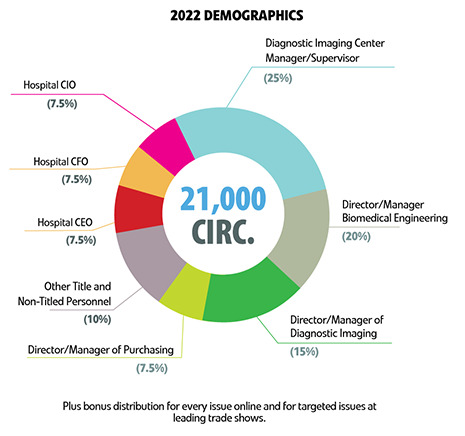 Every issue of HCBN magazine is filled with quality content covering your market and received by our BPA Audited 31,000+ magazine readers. 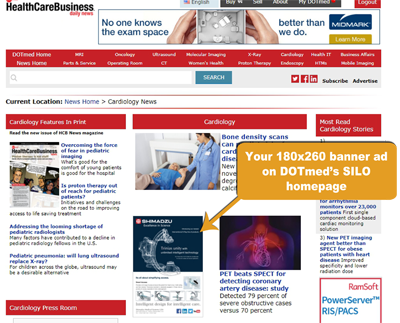 Your content placed display ad also includes a 180x260 banner on DOTmed's homepage, News homepage and a News Silo homepage. 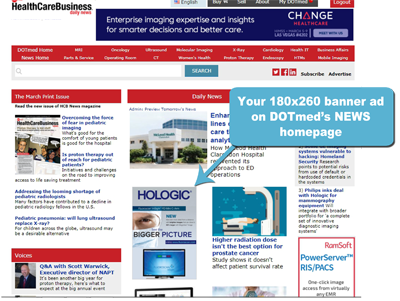 Appear on DOTmed's homepage linking to your website with your HCBN online banner. 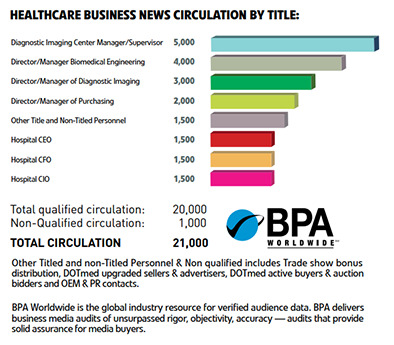 Latest HealthCare Business Daily News Slider ads link directly to your company website.